This years event is dedicated to Bosco. Bosco was adopted in 2015 and crossed the Rainbow Bridge in 2018. 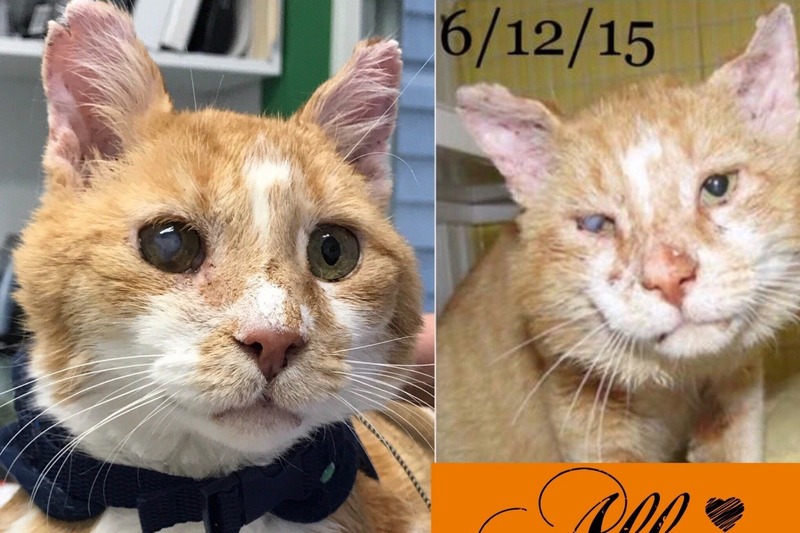 The photo on the right is Bosco in 2015 and the photo on the left is the result of all the love and care his adoptive family gave him. Bosco's love for his adoptive family will forever be in their hearts. We have created this site for online donations to your favorite individual or team participating in the Save a Stray 5K. Your donation will help SCHS continue to help give abandon or surrendered cats a second chance at life. Sullivan County Humane Society receives no local, state or federal funding. Over 70% of our operating budget comes from donors. Without their support, cats like Bosco would never have known how a loving home can change a cats life.